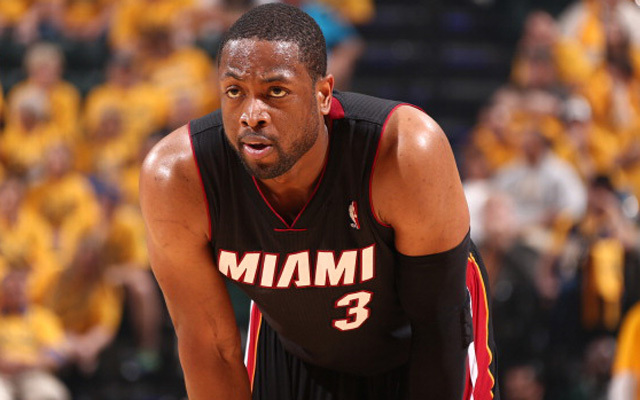 For over a month, Miami Heat guard Dwyane Wade and the team have been negotiating a contract. Unfortunately, for the Heat and Wade, they are miles apart with Wade seeking in excess of 20 million a season whereas the Heat are said to be offering less than 10 million a season. Will this lead to Wade looking elsewhere and leaving the only city he has played for throughout his illustrious NBA career? Only time will tell, but just the thought of a star such as Wade wearing a new uniform next season is exciting to say the least. Despite his age and recent injury history, Wade would have many suitors on the open market. One of the most interesting stories would be for Wade to join the Los Angeles Lakers who are coming off their second worst record of all-time. Kobe Bryant will be returning from a season-ending injury to a torn rotator cuff. The Black Mamba has said the 2015-2016 season will be his last. If Wade were to come to the Lakers, maybe he could be coerced to stay beyond the upcoming season. Bryant and Wade have previously been teammates on USA basketball where Bryant said he became close with both Wade and Carmelo Anthony. While they both play the two spot, Kobe would have no problem making the transition to small forward. He is still a good enough defensive player to guard some of the top threes in the league. The presence of Wade and Kobe would take a ton of the scoring pressure off point guard Jordan Clarkson who played as more of a scoring point guard with Bryant out of the lineup after his surgery. Power forward Julius Randle will be returning to the court after playing 14 minutes in the opening game last season before breaking his right tibia and sitting out the remainder of the season. The Lakers currently have the second pick in tonight’s draft and are leaning towards selecting Duke center Jahlil Okafor who has a polished offensive game, but needs to pick up his defense. Playing against NBA competition day after day with give Okafor some of the experience he needs to improve his defensive play. That would be a pretty solid starting five with the Lakers still having room to add other free agents. We know Bryant has been very vocal throughout his career about the Lakers adding pieces around him so the team can realistically compete for a championship. Look for NBA free agency to add many interesting storylines throughout the summer. « What Was Diddy Thinking?